As many successful businesses are based on a unique idea, it’s important that you protect these business ideas as they form the intellectual property of your enterprise. It’s vital in the commercial environment we have today to ensure that theft of a business idea is kept to a minimum. As you design new products, these must be protected with the appropriate mechanism. For a thorough overview of intellectual property law and which aspects may impact on your business visit the Intellectual Property Office (IPO) [www.ipo.gov.uk]. Many new business owners forget that their intellectual property actually starts with their business plan. As your plan gives details about every aspect of your enterprise it’s important to protect this information. As your business plan will invariably be a written document, you can copyright the information it contains by adding the © symbol plus the date. This gives you basic protection against any of the material within your business plan being copied. 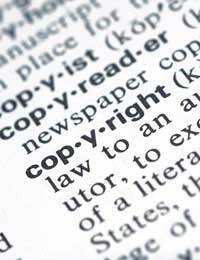 The Copyright Service [www.copyrightservice.co.uk] can give you more help and advice. Automatic protection once your design is registered with the UK Intellectual Property Office. 25 years protection from the date you make your application to protect your design. Design Right protects the overall look of your product, but not its underlying functions. If your product also has unique functions then you should also apply for patent protection. You can renew your Design Right every 5 years up to a maximum of 25 years. The current cost of registering your design is £60. Many smaller businesses often ignore patent protection believing it to be expensive and time consuming. A basic patent application currently costs just £30 for a preliminary examination of an application, but other costs could be attached to your application as it progresses. It’s vitally important to think carefully about your new business idea. You can of course keep this secret, but when your new product enters the public domain anyone can copy it if the product isn’t protected with any patents. As you develop your business’s new products, you will often need to discuss this with a wide-range of people and organisations. In these circumstances it’s a good idea to get these people and organisations to sign a Non-disclosure Agreement (NDA). If plans of your product design consequently leak out to other businesses, you have a legal case to pursue the company or person that you believe leaked your product’s details for damages and compensation. Remember, patent protection can be a long and time-consuming process. You can still go ahead with your business idea under the patent pending rules, but you must ensure your application is logged with the IPO before developing your business idea further. All patent applications are made with form 1. You should also include any diagrams or other explanatory drawings that help explain your patent. If your patent is for an invention, you must also send the ‘statement of inventorship’ with your form 1. Searches for similar patents can also be requested. Use form 9A to make your search application. You can also make your patent application online using the IPO web filing system. More details are on their website. Don’t forget to include the correct fees and remember that your application is for UK patent protection only. The branding of your business is an important component of its overall marketing mix. Today’s leading brands all have a trademark that consumers associate with the business and its products or services. Protecting the trademark you have developed for your enterprise can be done in much the same way as gaining protection for patents or unique designs. As a trademark is usually a group of text and graphics, copyright law would protect any instances where your trademark is used. For instance, another company couldn’t simply copy your headed letter paper with your trademark on it and pass it off as their own. However, as trademarks can have more intrinsic value, trademark protection has developed. Before you apply it’s important to acquaint yourself with the details of patent applications. Download the leaflet Trademarks Essential Reading from the IPO website. Complete form TM3. You must fill in sections 2, 9, 12 and 14 as an absolute minimum. You can also apply online using the electronic version of the TM3 form. Visit the IPO website for more details [www.ipo.gov.uk/tm/t-applying/t-apply/t-apply-online.htm]. Don’t forget to include the correct fees.